Is Your Mechanical or Electrical Subassembly Operation Crippling Business Growth? Something that countless OEMs and other manufacturing companies are doing every day could very well be crippling their business growth, and they might not even realize it! Building subassemblies – like power distribution systems, hydraulic valve banks and operator interfaces – can tie up a lot of resources. Not to mention it can seriously detract focus from other important operations across the company. 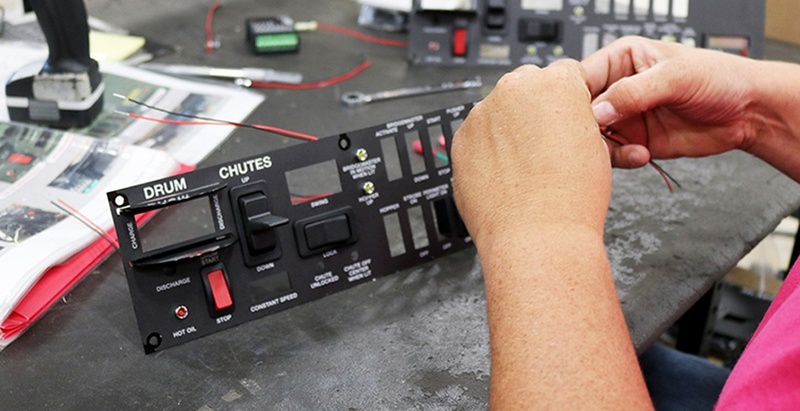 Do you have enough employees to design, build and properly test each subassembly? In the midst of the current labor shortage, it’s gotten very difficult for manufacturers to hire skilled workers. That means capacity suffers and you may have to require your workforce to put in longer hours, which can increase the possibility of quality issues. Or, if you need to hire in a pinch, your company may have to raise its wages in order to compete for qualified candidates. How much time are your employees spending writing work instructions and building the subassemblies? If you’re like most OEMs, time is money. The more efficiently you can get a piece of equipment out the door, the more profit you can bring in. Is the time your workforce spends developing work instructions for mass production, routing wires or machining control boxes worth it? Not to mention all the time it takes to source components and handle the materials before you can even start building the subassemblies. How much money are you spending on specialty equipment and overtime wages? Subassembly manufacturing can require special tools that make the work much more efficient. For example, an automated cutting machine that can cut, twist and terminate wires within seconds would completely transform the way you build electrical assemblies – but it’s also an expensive capital investment. Without that equipment, you’ll end up paying people to manually measure, cut, crimp, terminate and bundle wires. Is the seasonality of your business difficult to plan for? Managing costs, vendors, personnel, processes and delivery deadlines can be a challenge if your business experiences high and low seasons. How much time does your company spend trying to staff for busy times or deciding how to keep people busy during the slow times? Refining current processes – front office, design, distribution, etc. As an OEM, your focus should be on the overall product and how to grow your business, and the people who are already working for you are likely your best resources to help strengthen your core competencies. If they’re focused on the wrong things, however, you could delay or never even realize significant business growth. As you think about the questions I posed above, weigh your answers against the value of the pride your company takes in building every single piece of each machine you roll out the door. Is the cost worth it? Or should you consider outsourcing subassembly production? If you’re not sure, you can put some numbers into our Build vs. Buy Calculator to get an idea of how much it’s actually costing you to build subassemblies in-house. Click the button below to get started! As part of MCL’s high level of service, your inquiry will be handled by our Leadership Team and forwarded to the appropriate team member. MCL is a member of The Village Companies.